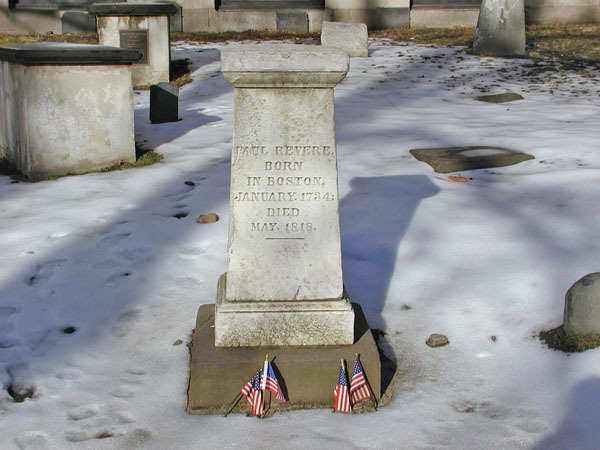 I had a business trip to Boston in January 2005, so, of course, I took a little time to visit some of the sites. The hotel was near the beginning of the Freedom Trail. I didn't get to walk the whole trail -- I took a shortcut -- but I got to see a lot. 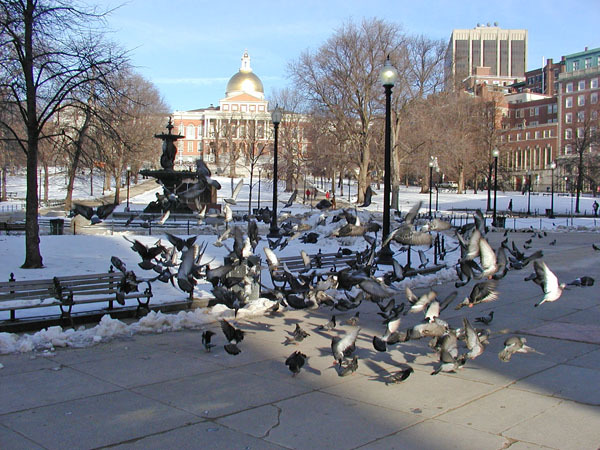 Below is Boston Commons. One of the first stops on the trail is this cemetery. 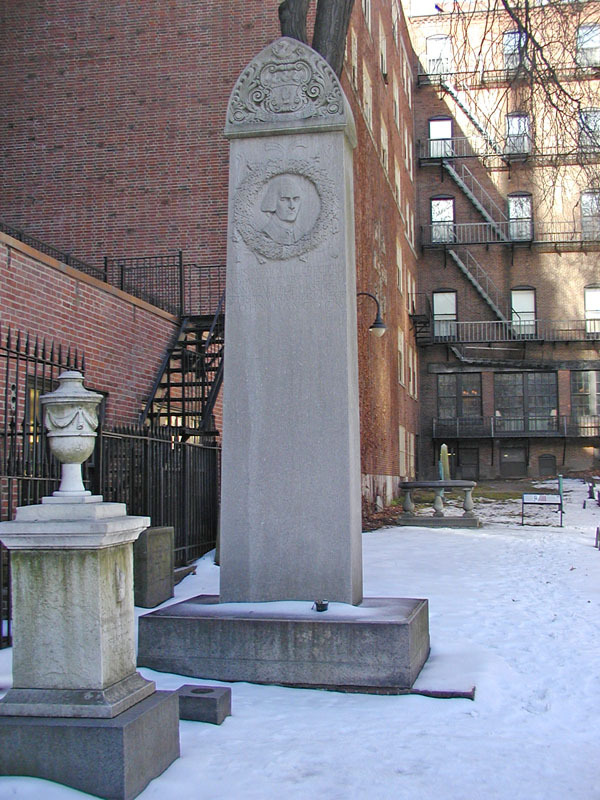 In it you will find the graves of John Hancock (first); Paul Revere (second) and Mary Goose (third). 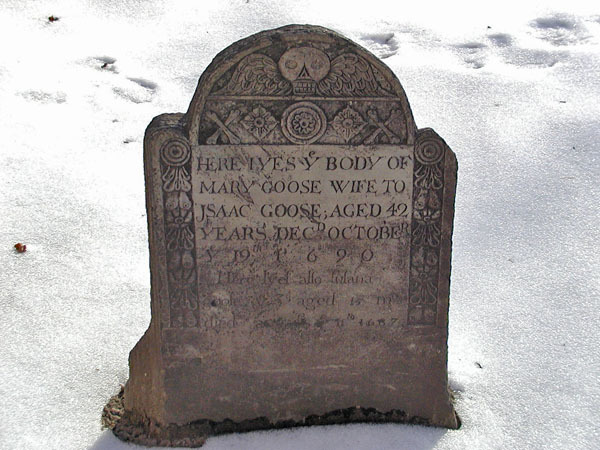 Supposedly Mary Goose is who "Mother Goose" was based on. 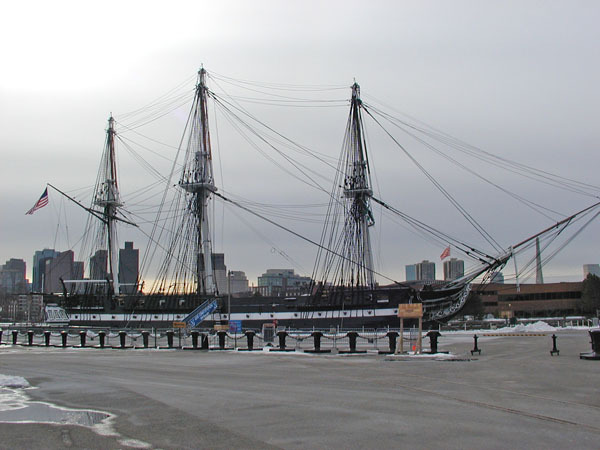 One of the next stops was at the USS Constitution. Unfortunately, it was not open on the day I visited. 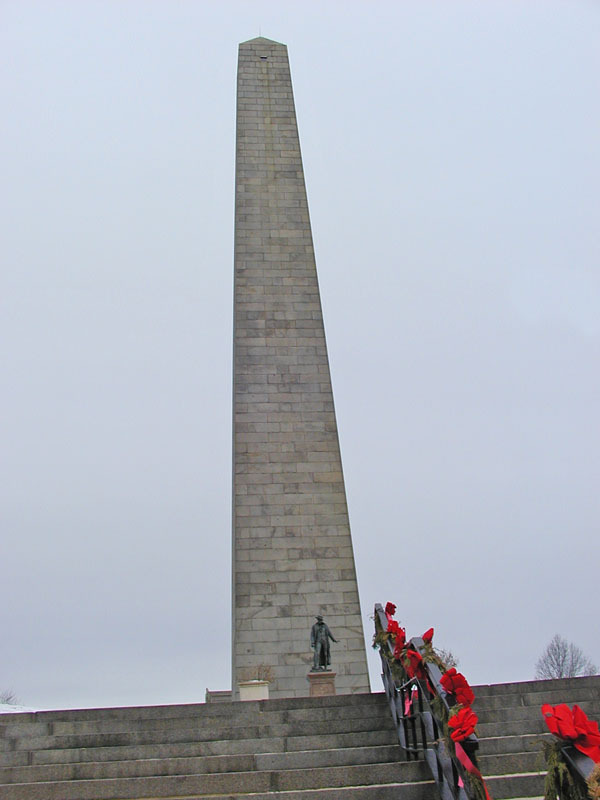 My last stop along the trail was at the monument for the Battle of Bunker Hill, which was actually fought at Breed's Hill. 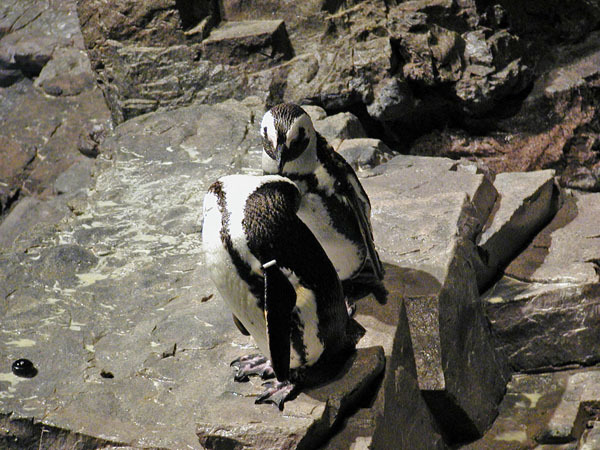 My last visit for this trip was at the New England Aquarium. 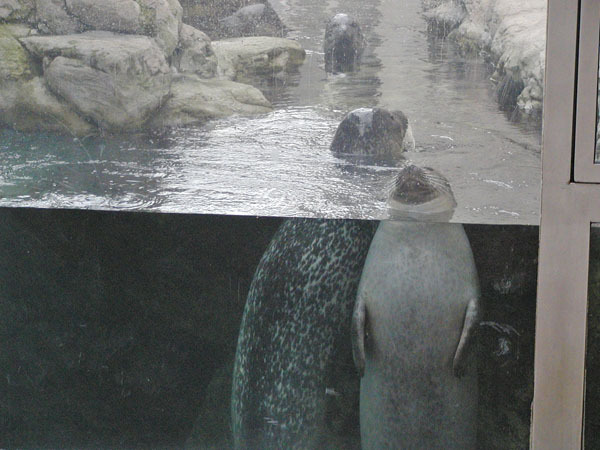 These guys (below) guard the entrance. 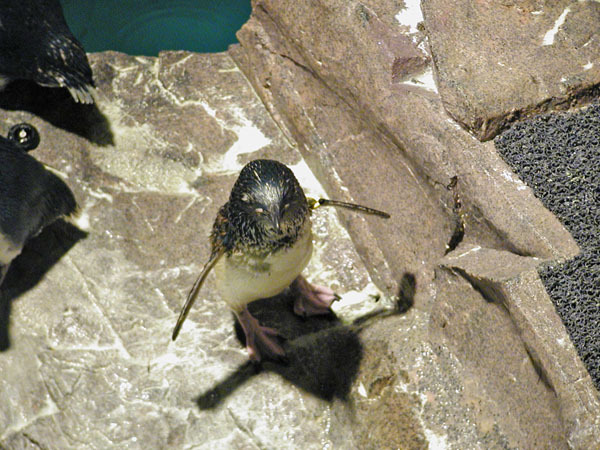 The penguins (below them) were mighty cute.